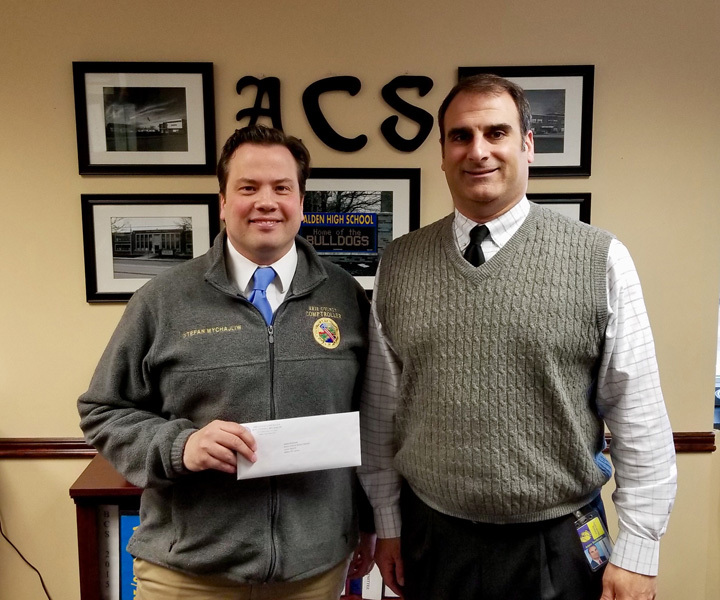 During a visit to the Alden Central School District, Erie County Comptroller Mychajliw delivered a check for $452,261.43 to Superintendent Adam Stoltman. See full story in the April 5, 2018 issue of the Alden Advertiser. Do you have gift certificate s for the pink ? I would love to get some for Galen Day. My grandchildren love the pink cow!